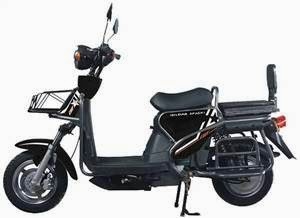 Mondial's electric bikes E-Mon 1 and 3 of the Trans series models we introduced to you earlier. Came the order Mondial E-Mon Trans II. E-Mon Trans II series 3 models generally have the same characteristics. Already the prices of these two models to the same penny penny. Only difference between these two models are a little design. Design the difference is already a matter of taste. Both models also can choose peace of mind. Trans series luggage under the seat is too small. This is a disadvantage for transport. However, the metal basket on the front, this disadvantage is eliminated thanks and becomes a load-bearing engine. Mondial E-Mon Trans II's specifications are listed below.